April 17, 2013 By Mike Seeklander & filed under All Articles, Defensive Training Concepts. Most shooters have a type A personality that drives us. That being the case, my students often ask me how to measure the skills they have. While there are multiple ways to measure skill, I like to have one that objectively allows me to measure my ability, so I can compare it to my skill level in the future. Hopefully, if I am doing what I need to do in my training and practice, that skill will show improvement. So how do I measure skill? Several ways are possible, and the first thing that is necessary is to figure out what skills are desired and need to be measured. For example, if I am training with a defensive goal and both speed and time are important, I would use something like the Shooting-Performance skills test to measure where I am. It uses a combination of time factors and hits on target to factor a final score, which I can compare to future scores. Perhaps you are training for something entirely different, such as the ability to make a long-range shot with a rifle in the context of a police or military sniper. In this case, you might measure your skills with a very loose time limit and really focus on the accuracy measurement. In either case, I have found that one potential pitfall is trying to integrate measuring “tactics” in a skills test. Having said that, the skills test I will discuss does require some slight tactical observance, but the primary focus of my test — and any test you use — is on the manipulation and marksmanship skills. The problem with performing a measurement test that is too heavily weighted with tactics is that tactics are subjective, and each person has a unique spin on what they think is right. This makes running a test without an observer very difficult at best, and the results often become blurred by potential “tactical” failures. My goal when designing my skills test was to require some slight tactical procedures such as post-engagement scanning and the use of cover on the stage where it is provided. Other than that, the test focus is purely on skills. While my test is one of several that are great for measuring skills, I’ll stick with discussing mine and hopefully provide you with a tool to measure your skills. I also want to give credit where due: one of my training partners, Brian Hill, helped when we were trying to design an appropriate test for the students we trained at the U.S. Shooting Academy. I have since modified the test substantially, but special thanks to Brian for all his help. The test has an unlimited score. When developing the test, I began by determining that I did not want a skills test that would allow the user to maximize it. I have shot more than a dozen different skills tests and qualifications over the years and have found that really good shooters can often maximize the test score. The problem with this is that there is no possible improvement after that point. My skills test is a par time based test that allows the shooter to fire as many shots as possible within the par time, which is basically a measurement of time that can be set on an electronic timer. For example, if I set a par time of 1.5 seconds on my electronic timer, I get a start beep and then an end beep at 1.5 seconds. My test can also be run on turning targets if the shooter has them available and has the ability to set the time in the system. The test has a total of ten stages, each designed to measure a different area of skill. While I feel that the test is very broad and measures most of the key areas of skill needed for a defensive handgun situation, remember that it is designed to measure marksmanship and manipulation skills. The test even includes measurement of one-handed shooting and manipulation skills. Due to this, I recommend that you have a solid base of skill and training before attempting these stages. The test is very fast paced and has stringent par times. When running the test for the first time, if your skill is at a slightly lower level, you might find the par times very hard to meet. For this reason, I have expert and novice par time options. The novice par time option allows the user to add .5 seconds to the par time on each stage. If you still have a hard time making the par time, you are possibly not yet at a level where you are ready to take the test. I suggest you develop a base amount of skill through practice before attempting the test. The test is designed to allow you to track your progress. If you are using this test, you need to do it consistently and keep track of the gun and gear you use as well as the procedures you follow. For example, several of the first stages test your draw and reloading skills. Some people train to move offline every time they draw the handgun. I do not require offline movement in the test, simply because I am concerned with measuring my ability to draw from concealment and get hits on the target. But you may choose to move offline during these stages. No problem! Just document that and keep it consistent so that the next time you run the test, you are doing the same thing and have a consistent measurement. Another important point is that you will get completely different scores when you run the test with different guns and gear. This will not be an issue as long as you track what gun and gear you use on each particular day. The test requires hits to a specific combat-effective area on the target, and severely penalizes for missed shots. The reason for this is that the par times really test your skill. I know that people might just throw shots downrange and hope for hits. I require that your target (an IDPA target) be mounted on a clean backer so you can really account for missed shots. Missing shots in a crowded mall or parking lot is unacceptable, and your training/testing should not allow you to do this without severe penalty. The chart below gives a quick view of the stages of the test and what they measure. The full version of the Shooting-Performance handgun skills test, which you can print and run on your own, can be found here. I suggest you design a folder like I have that you can keep in your range bag to track the scores you shoot with the gear you shoot them with. Set-up for the test is very simple and only requires two IDPA targets. There is also an alternate target listed in the skills test if you want to use it. Use the same target each time you run the test for consistency. At one point during the test, I require the shooter to switch and use the other target so the volume of shots on the target will not be so great as to impede scoring when finished. * The skills test is designed so you can measure your skill and compare it to your skill. To do this, you must keep things consistent so you can track improvements. Make sure to track your results. I keep a binder with the skills test in it and have a log sheet at the end, so I can see what I shot, with what gear and on which date. * Hold yourself accountable if you are taking the test alone. This means that if you fail to perform a scan process after a stage string, account for it, fix it and penalize yourself if you repeat it. * Learn from the test. Some of you who carry in a pocket or some other difficult-to-access location might find the par times extremely hard to meet. Learn from this and accept the fact that if you carry in a pocket or on an ankle, it will be much slower for you to get your handgun into play during a spontaneous attack. In conclusion, remember that this test is simply a method of measuring your training success. If you find yourself failing on certain stages, focus more on those areas or get some training to help you with them. One of the key principles of training is that your results must be measured, and can then be improved. 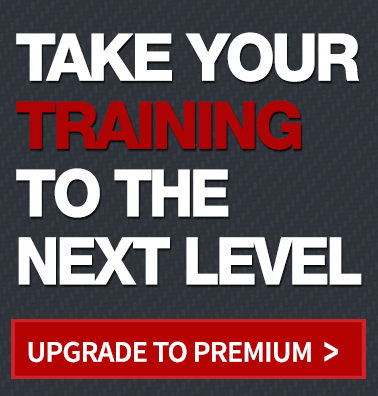 Take the skills test and help drive your training to the next level! The following chart shows the breakdown of each stage on the handgun skills test. I have this video and most of youth others. Some good stuff here for sure. But on one point …I don’t train with a timer. “You will do in a panic situation what you are trained to do” ….like waiting on a buzzer to tell you when to draw and shoot. Or when to stop shooting. If you are training for a competition that is timed and uses buzzers or tones then by all mean practice with a timer. Training for self defense with sound timer is suicidal. But then who am I to question the many “experts” that seem to be coming out of the woodwork everyday. No offense to the author here. I myself have only 50 years of handgun experience, an Expert medal from the Navy, three NRA expert competition ratings and a IPSC “A” class rating. Maybe I should do some videos and write a book too. Don’t have a website as of yet. Don’t have a website. The shooting skills test is definitely what I want. I thought your article was good. You set out what you want to test. Keep on making primer dimples.! !